lipstick from Revlon Streetwear collection called Revlon Satin Smooth Lip color in ‘N**E’. Let us jump on to the review to find out more. 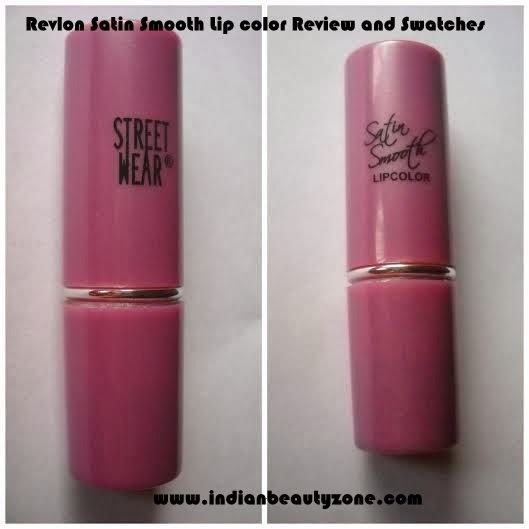 You can buy Revlon Satin Smooth lip Colour from Offline Beauty Stores and you can buy in all beauty online shopping Websites like Medplusbeauty, flipkart, slassy, purple etc. Streetwear Satin Smooth Lip Color glides on lips effortlessly, stays long and makes you feel comfortable.It works well and keeps the lips soft and supple. Helps smoothen, soften, protect and hydrate your lips and adds a luminous shine to your lips.You will get a satin smooth finish. The lipstick comes in a light lavender purple tube with the logo of the company on the lipstick cover. It comes wrapped in a clean film and all the details are gone once you take it off. 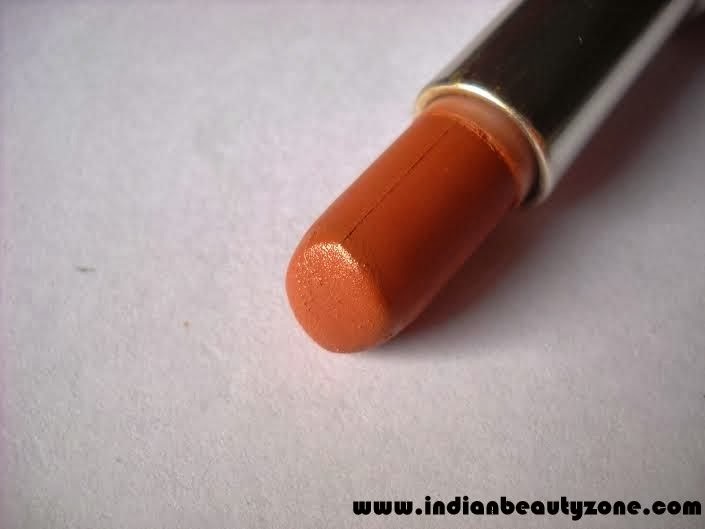 The bullet is sturdy and the lipstick twists up and down comfortably. Now the cap does not click lock hence I would not say that it is travel friendly. Overall the packaging is nothing fancy but decent enough for the price. a couple of these and I like them. 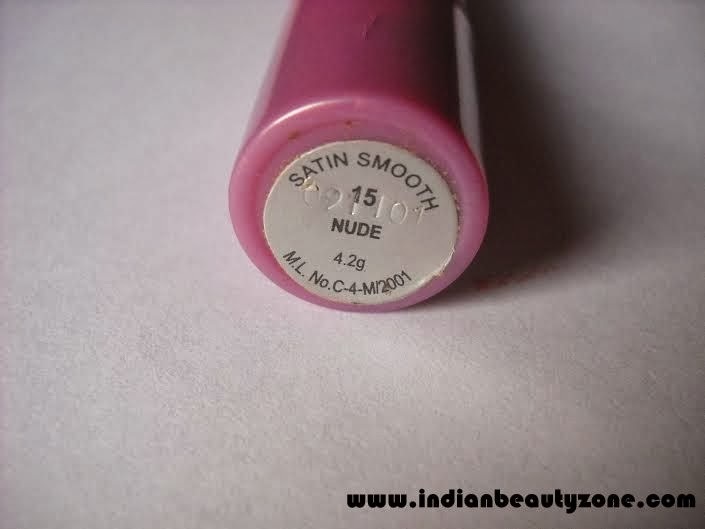 The name is perfect for the lipstick. 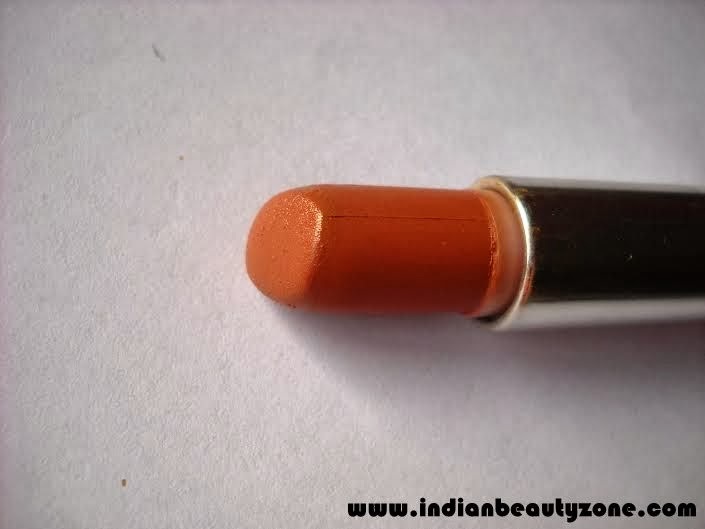 It is a peachy neutral lipstick with orange undertones to it which makes it very wearable. The lipstick smells and tastes good – floral according to me. It does not contain shimmer which I love. It goes on smoothly on the lips and is quite moisturizing. Two swipes are enough for an opaque finish on the lips but if you have pigmented lips like me you may have to swipe multiple times to get the desired color which is ok for me. 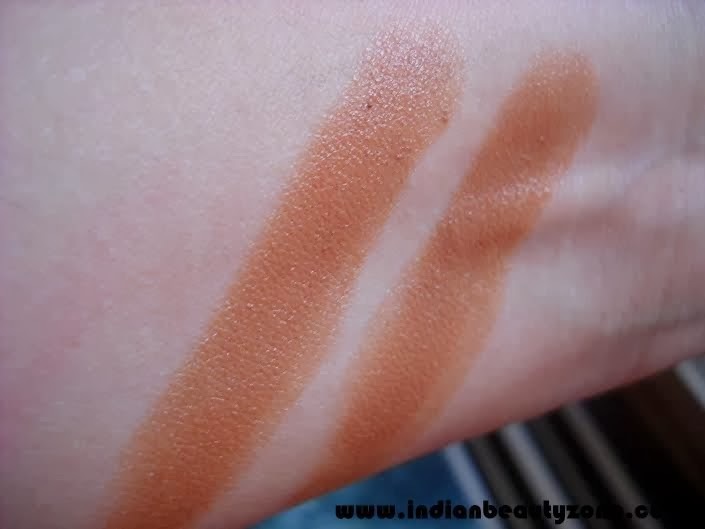 The color is quite pigmented and saturated and is of a satin smooth texture as claimed. Due to its creaminess the staying power is average 3 hours or so. If your lips are dry and you apply this lipstick it will accentuate the fine lines on the lips. Hence your lips need to be properly exfoliated and moisturized before you apply the lipstick. This will suit all skin tones in my opinion and hence is a good buy if you are looking for a neutral lipstick which will not wash you out. Easily available in shops, not sure about online. Not travel friendly because of the cap although I have travelled with it. availability though do check your local streetwear counters.I hope you found this review helpful. Do leave a comment below would love to read your inputs. I am a make up and beauty blogger from the city of dreams Mumbai and write for my own blog My Little World of Make up – natashabhatt.blogspot.in since almost a year.As you can tell I love lipsticks and everything about make up especially that which suits my budget. I am a thinker, philosopher at the same time very fun loving simple person who loves cracking one liners/jokes which come spontaneous to me. Do visit my blog too if you want to follow me and know me more.